When Is Eid al-Adha (Feast of Sacrifice) 2019? Eid al-Adha is an Islamic festival to commemorate the willingness of Ibrahim (also known as Abraham) to follow Allah's (God's) command to sacrifice his son. Muslims around the world observe this event. Is Eid al-Adha (Feast of Sacrifice) a Public Holiday? Eid al-Adha (Feast of Sacrifice) is a public holiday. It is a day off for the general population, and schools and most businesses are closed. 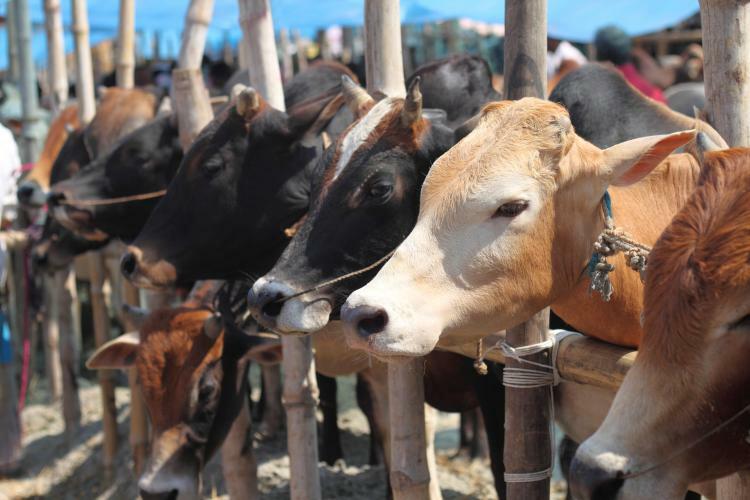 Qurbani Cattle market in Bangladesh. Read more about Eid al-Adha (Feast of Sacrifice).